Most of the festivities and events held in Cambodia are related to the history of the country. Many are celebrations of its great Khmer Empire, which had its capital in the most coveted ruins of Southeast Asia: Angkor. Cambodians also celebrate the cycles of nature, for example, a great feast is held to give thanks to Mother Earth after the harvest. Faithful followers of the Buddhist religion, Cambodians also have special dates for Buddhist celebrations, as well as commemorations of the King’s anniversary, the declaration of the national constitution and a remembrance of the country’s independence from French occupation. 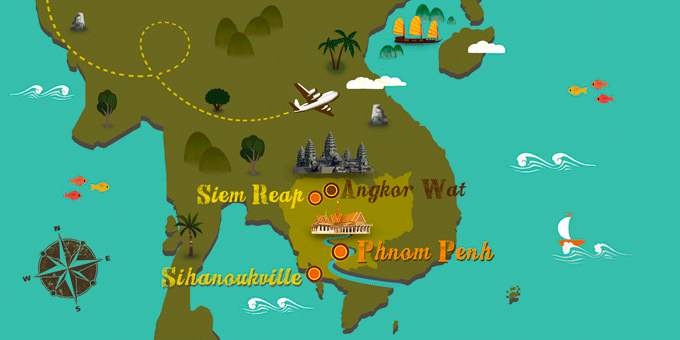 If Cambodia has caught your attention, leave us your number so we can call you to discuss the voyage that awaits you.